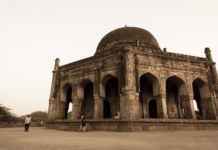 Mandu is a city on Malwa plateau that has many remarkable monuments which history lovers would love travelling to. 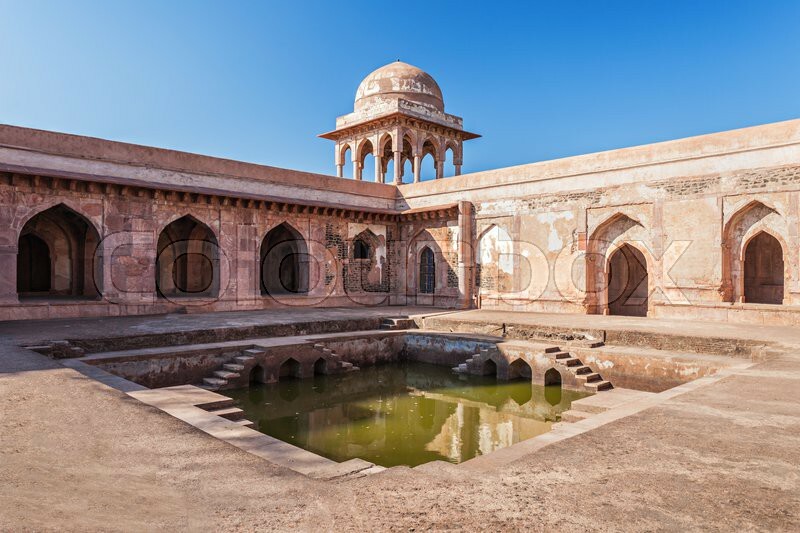 Earlier known as Mandavgarh & Shadiabaad; under the Mughal rule, Mandu used to be a place where lakes and palaces witnessed scenes of splendid festivities. It is a natural paradise situated on a 2000 feet height of the Vindhya plateau, and 35 km far from Dhar in a district of western Madhya Pradesh. 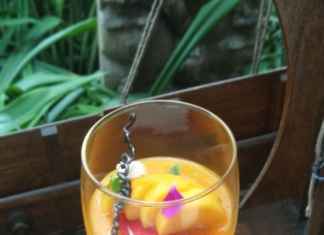 Here we bring the places that are a must travel here and why it is a history lover’s delight. This ship palace resembles a watercraft that has splendid architecture. 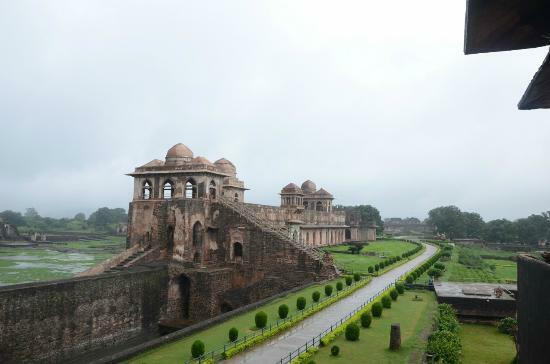 It was built during the reign of Sultan Ghiyas-ud-din Khilji and captures the medieval element of Mandu. The palace is surrounded by pond water and it seems to be floating gently above its surface. It is an amalgam of Afghan, Mughal, Hindu and Mesopotamian architecture styles. Situated at the front of Jaami Mosque, there are ruins of Asharfi Palace. 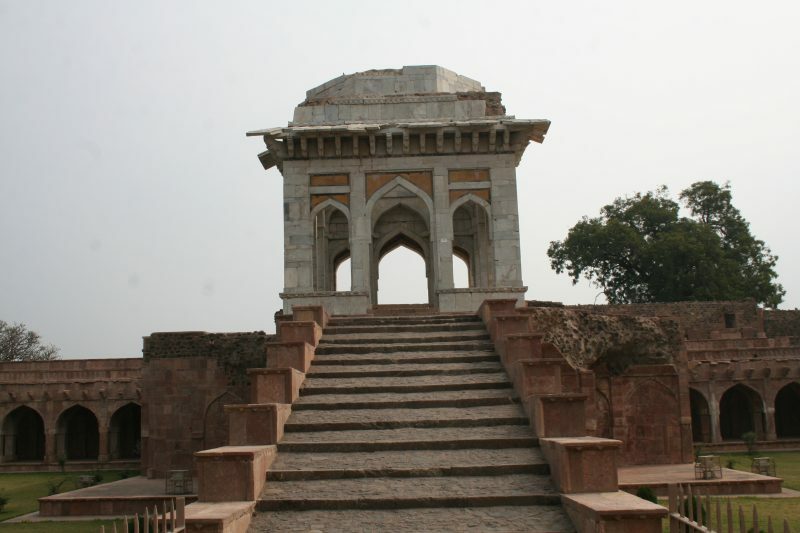 There is also a winning memorial at the north-east of the palace that Mehmood Khilji built over the win on Rana Kumbha. The Mahal is a seven-storied pillar of 150 ft height. Close to it, there is a Ram temple as well built by Maharani Sakarwar Bai Pawar in 1769 AD. This mosque is a giant red-stone monument visible even from a few kilometres away. It is similar to the world famous Mosque in Damascus and was completed under Mohammed Khilji after Hoshang Shah’s death. The mosque is considered as the finest and largest examples of Afghan architecture in India. 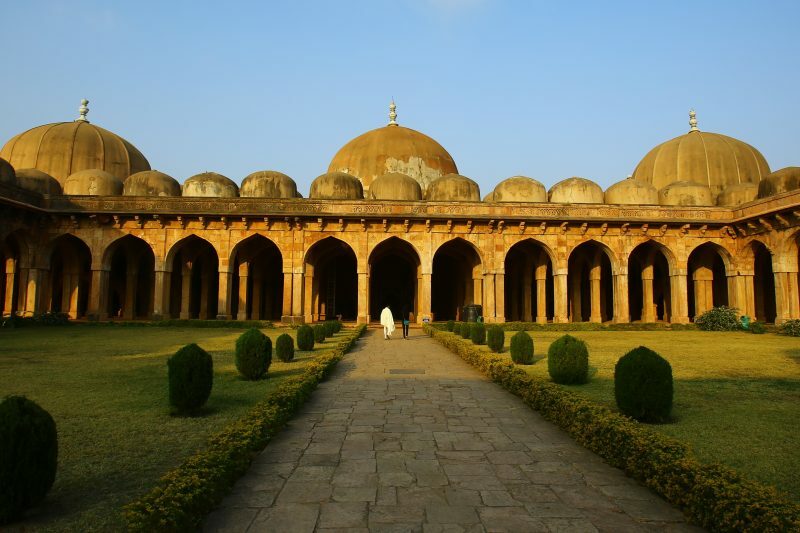 This architectural wonder was built for the last leader of Mandu, Baz Bahadur in 1509. This double-storied palace’s entrance has tall, slim arches and it not only display Islamic architectural styles but also boasts designs inspired by Rajasthani trends. Hindola means swing and this palace’s audience hall has sloping walls which resemble the trestles of a swing. 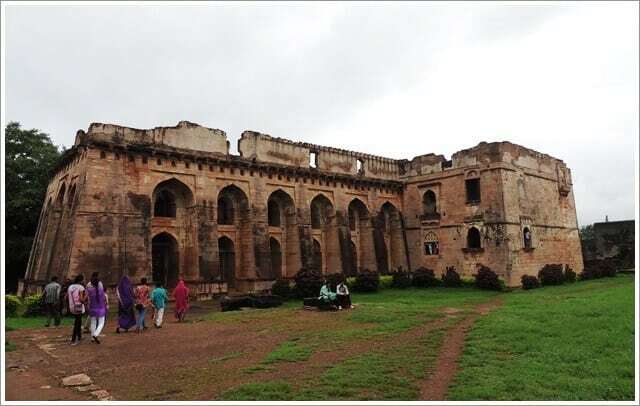 The palace perfectly portrays the Malwa-Sultanate architecture and is visited by thousands of tourists every year. It was constructed from sandstone with delicately carved columns with the provision of hot and cold water connected to the rooms underground. Now it is used as an audience hall and an open-air theatre. 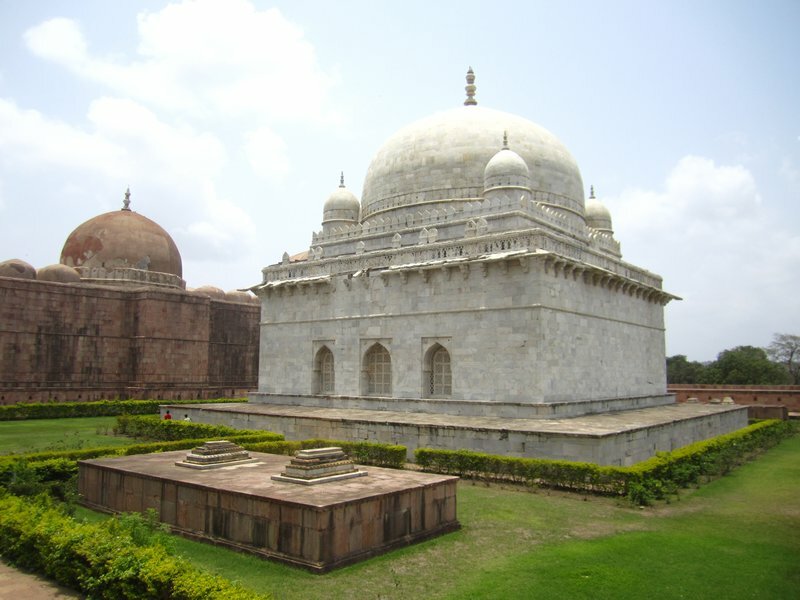 Hosangshah was the renowned king of Mandu, and this tomb is entitled to be India’s first marble structure named after him. The walls of the mausoleum are about 32 ft high and there are many star & lotus shaped carvings carved on its walls and pillars also. The casketed sarcophagus of Hoshang Shah is the centre of attraction for all.